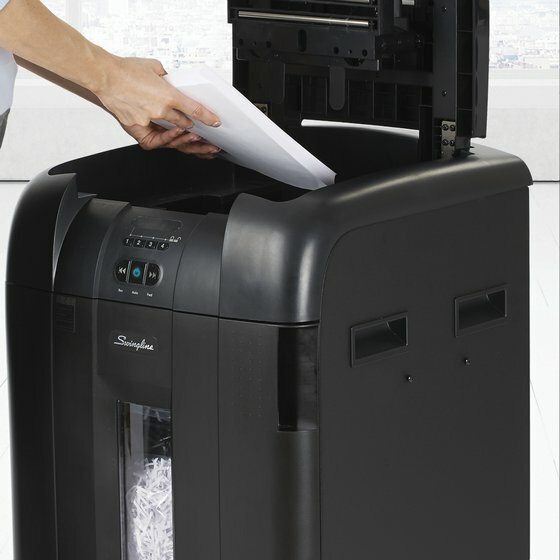 Upgrade to America's #1 Selling Brand in Auto Feed Shredders and benefit from stack, shut, done operation. 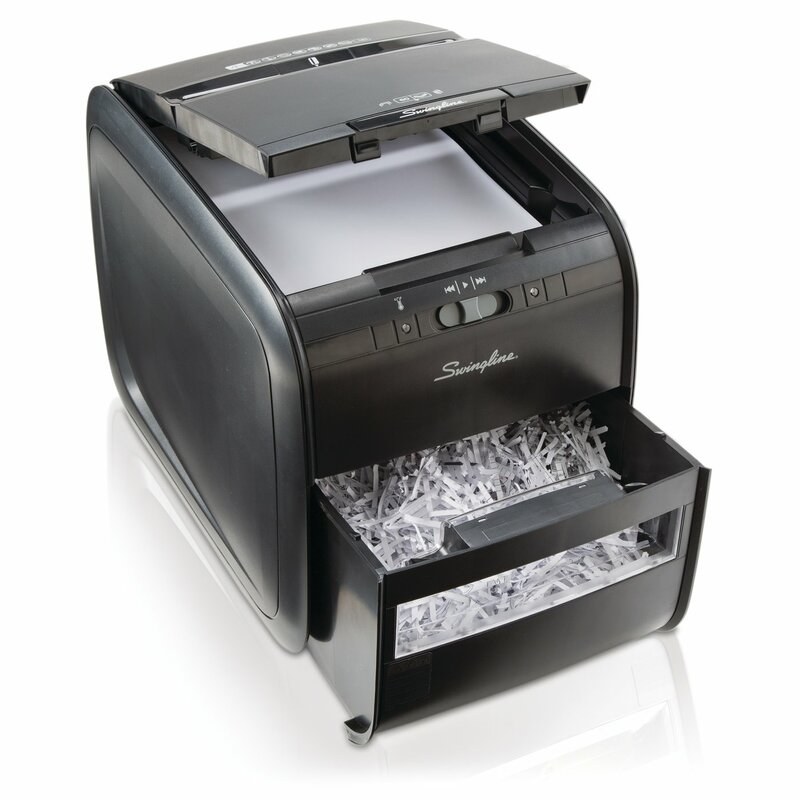 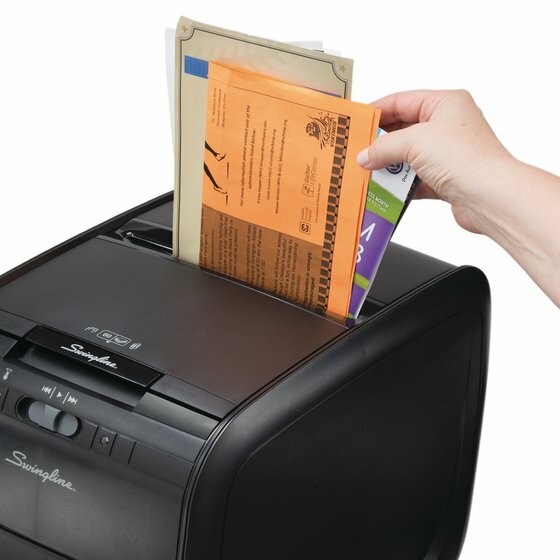 Insert up to 60 sheets and walk away - the personal Swingline® Stack-and-Shred™ 60X will automatically shred all 60 sheets for you. 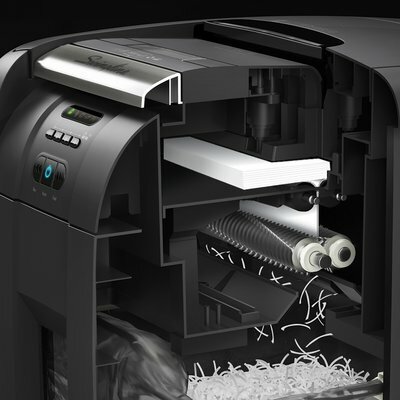 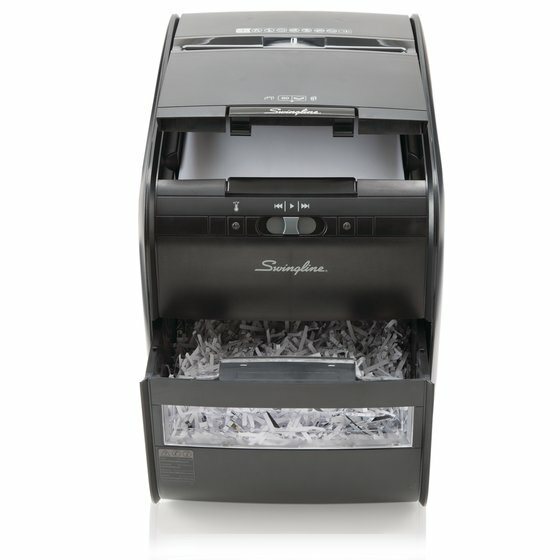 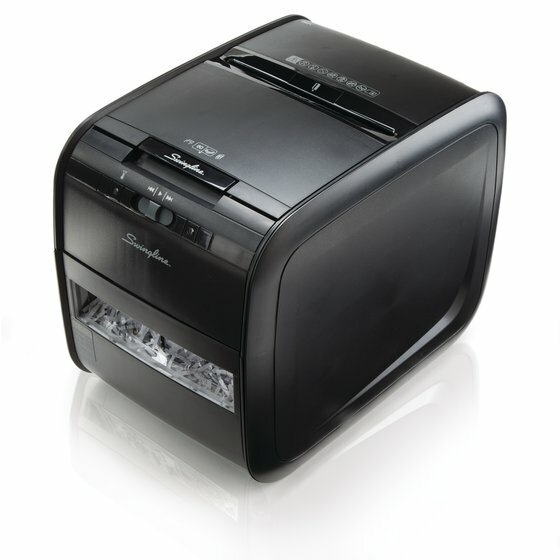 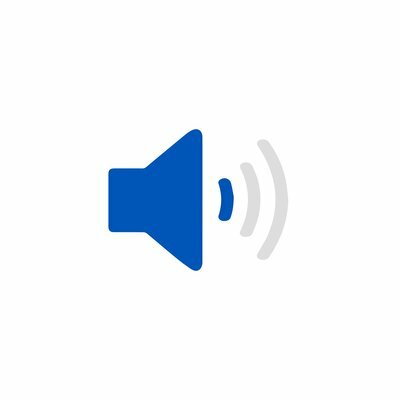 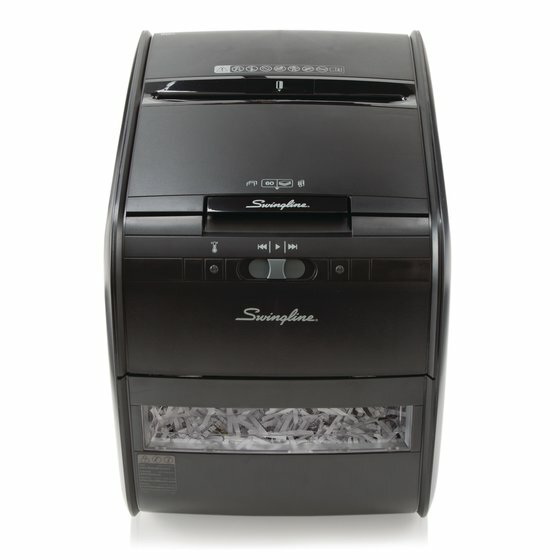 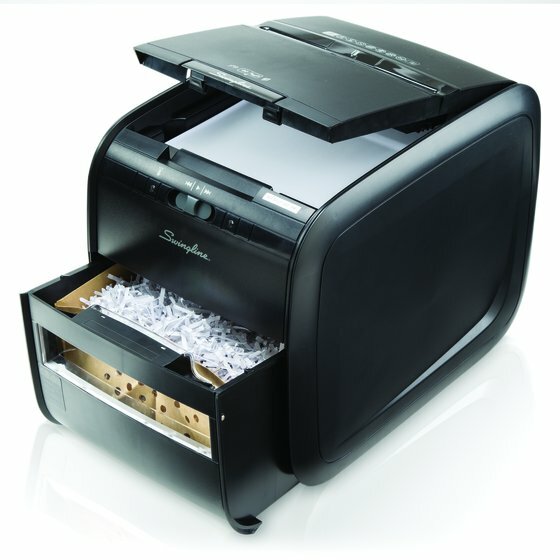 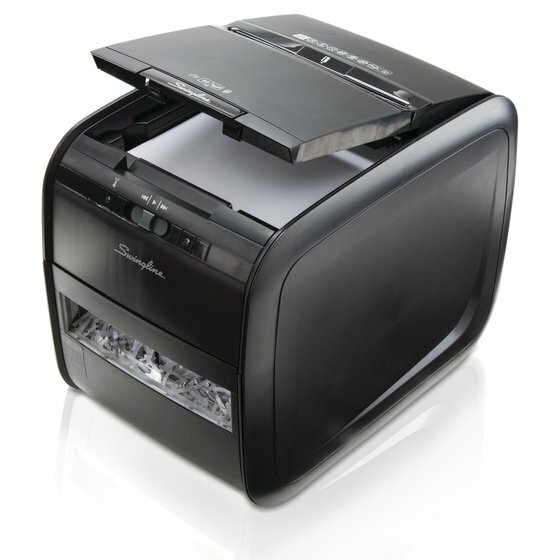 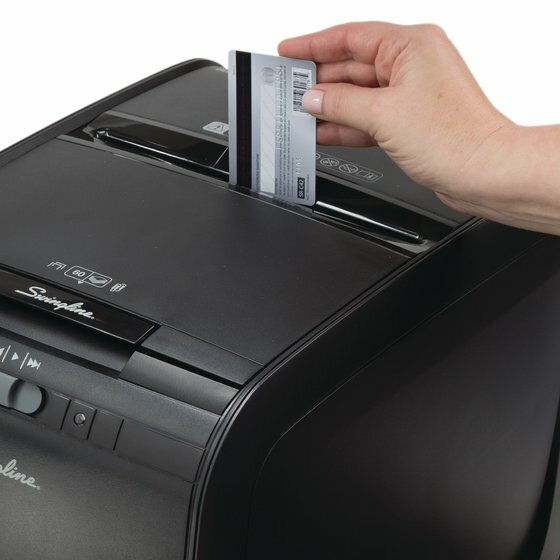 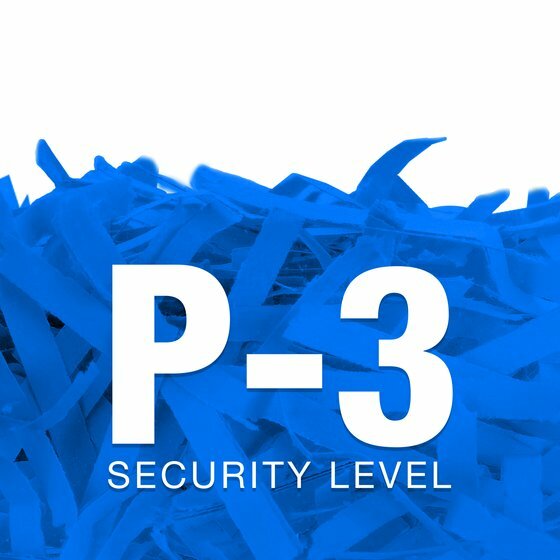 A manual feed option is also included for quick cross-cut shredding of credit cards or small tasks of 5 sheets or less. 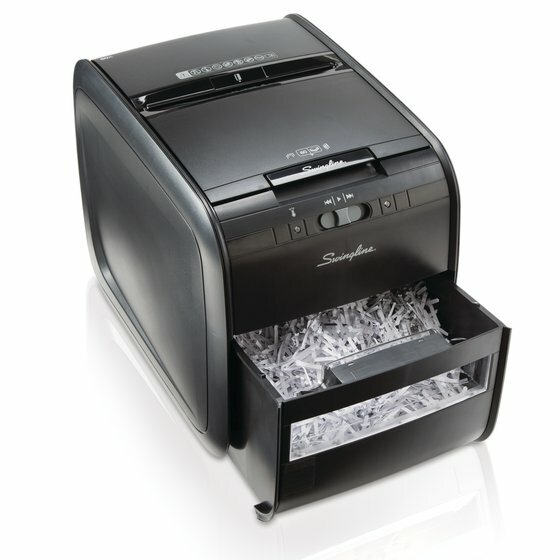 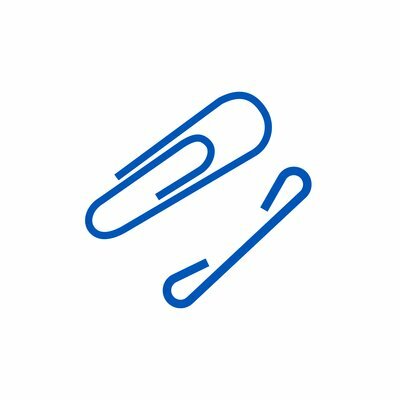 Easily shred stacks of paper with staples or paper clips.